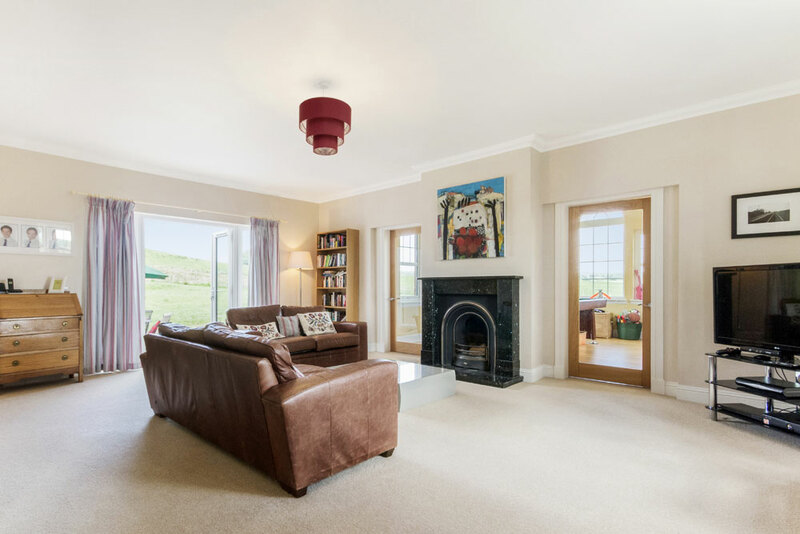 Enjoying uninhibited views of the Campsie Fells to the front and the Trossachs to the rear, Station House is an imposing 5 bedroom property that sits within 2.33 acres of land overlooking the beautiful hamlet of Gartness. 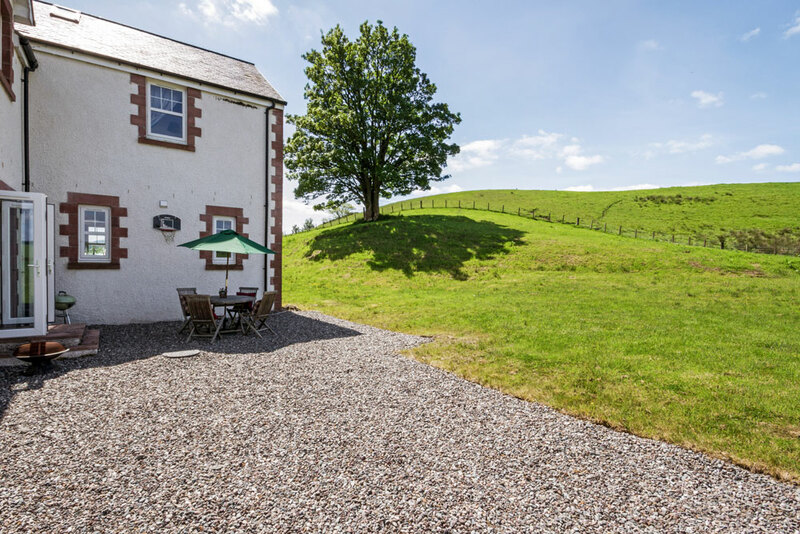 The property is located on the route of the West Highland Way between the picturesque villages of Killearn and Drymen and is built on the former Gartness railway station. 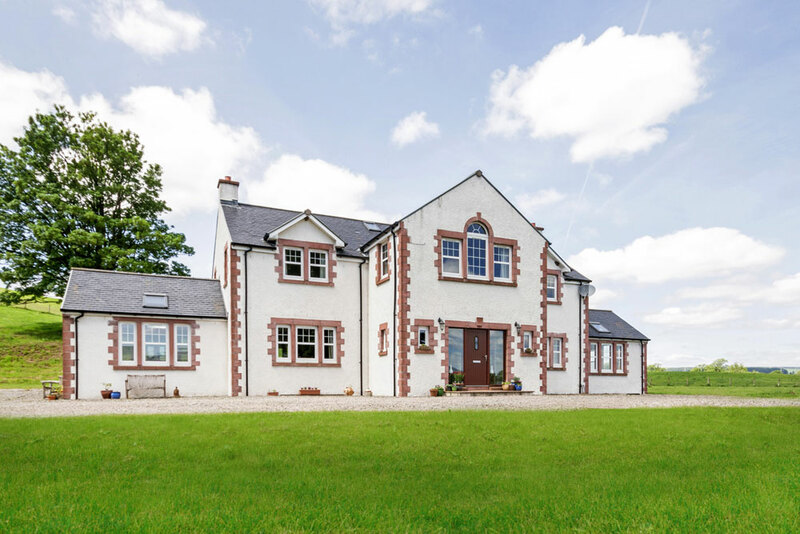 Completed in 2012, Station House is in keeping with the rural landscape while still providing a modern and efficiently insulated country residence. A large house of some 3530 sq. 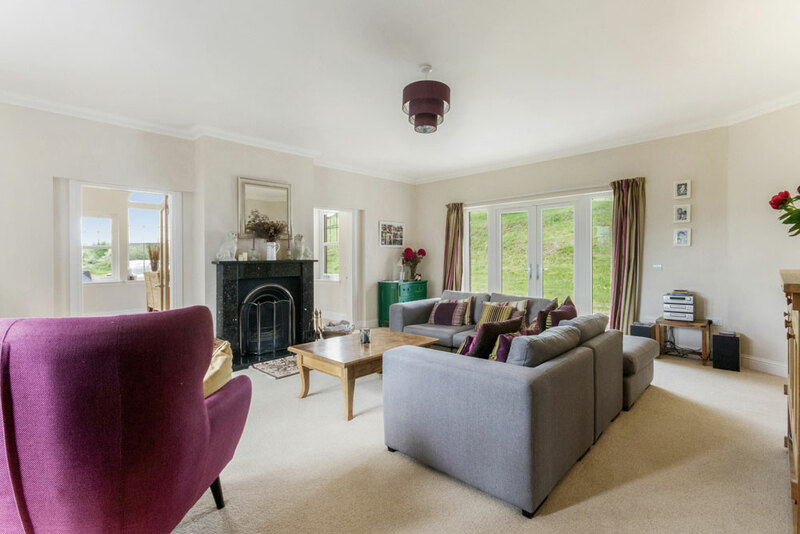 ft, provides a spacious and practical family home. 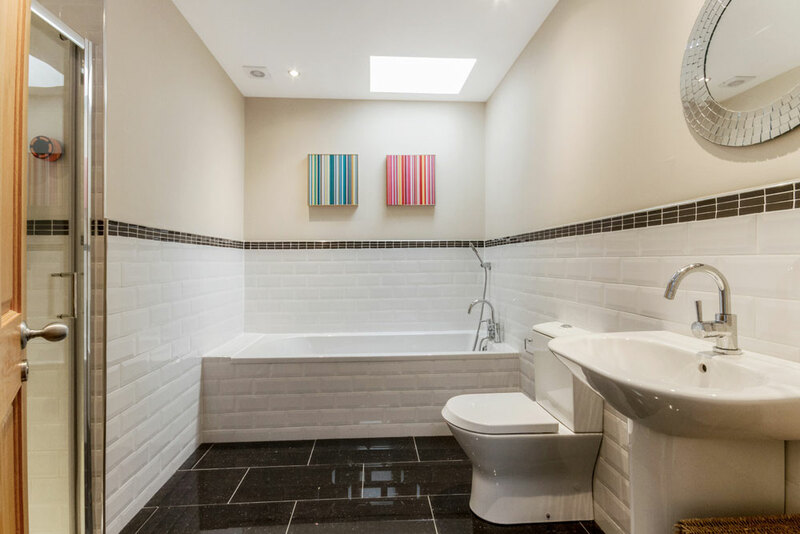 It is an immaculately presented house with a high specification. 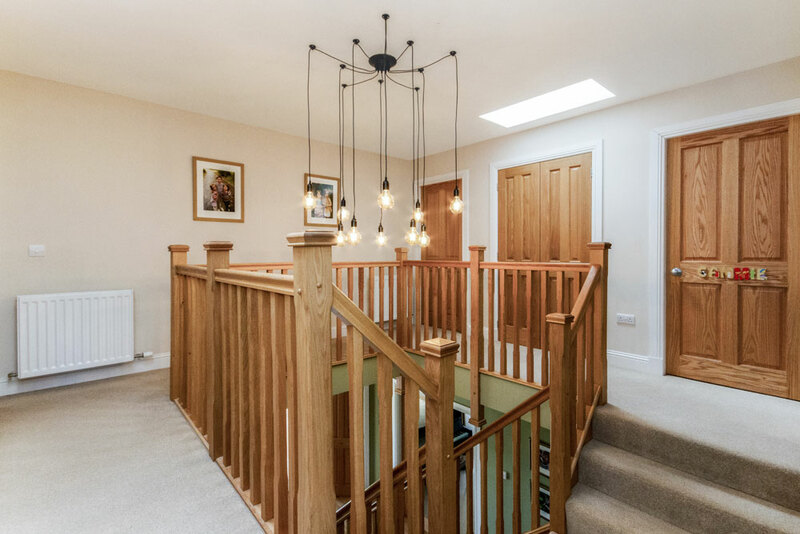 Downstairs comprises an impressive open hallway with a grand central staircase with three storage cupboards, cloakroom and WC. 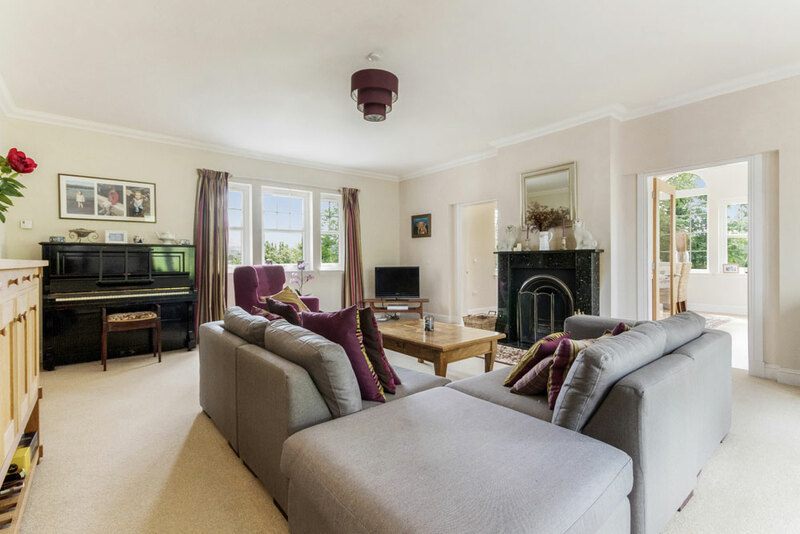 The property boasts a large formal drawing room and a large family sitting room both of 400 sq. ft. Both living/family rooms have solid marble fireplaces. 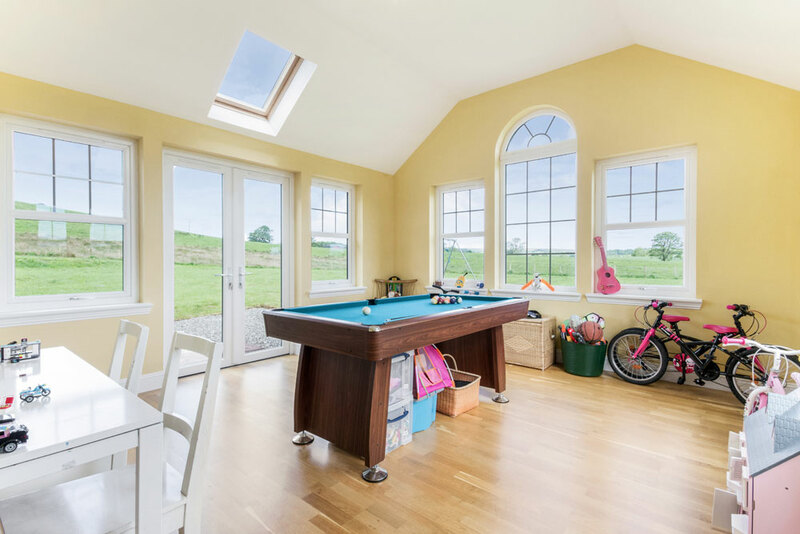 To the far right of the property is a beautifully appointed room with views across the rolling hills which is currently used as a play room. 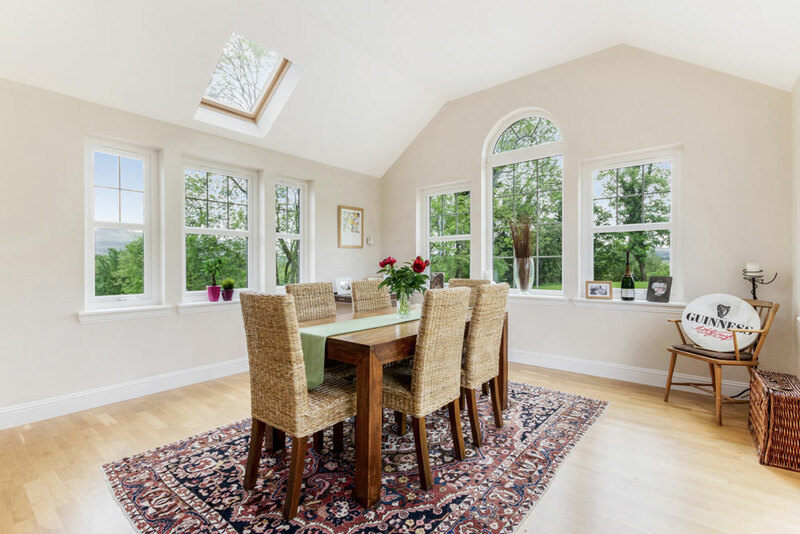 The symmetrical style of the house means there is also a room of the same generous proportions off the drawing room, with the same vaulted ceiling and views which is currently used as a dining room/sun room. 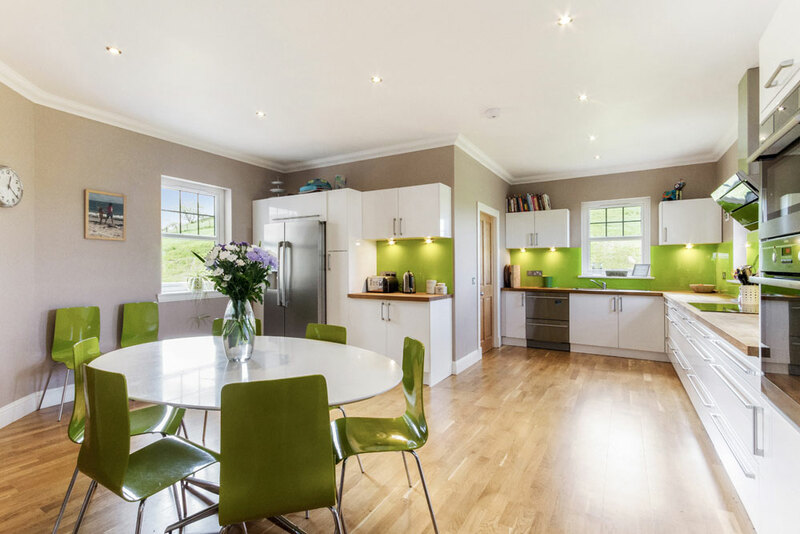 The impressively sized and bright kitchen at the rear of the property is modern and has ample storage, high quality oak worktops and engineered oak flooring. 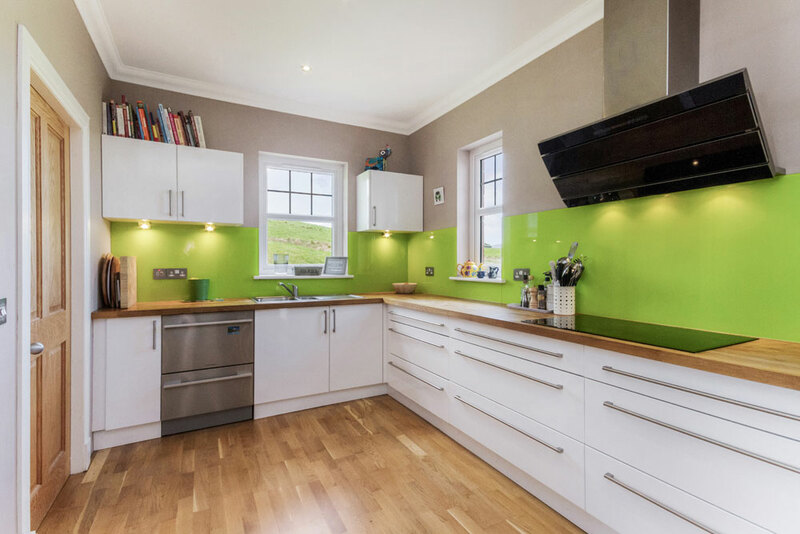 Further highlights include a Fisher & Paykel double dishwasher, AEG 4 ring electric hob, Rangemaster extractor hood, AEG American style fridge freezer and AEG double oven. A utility room is situated just off the kitchen. 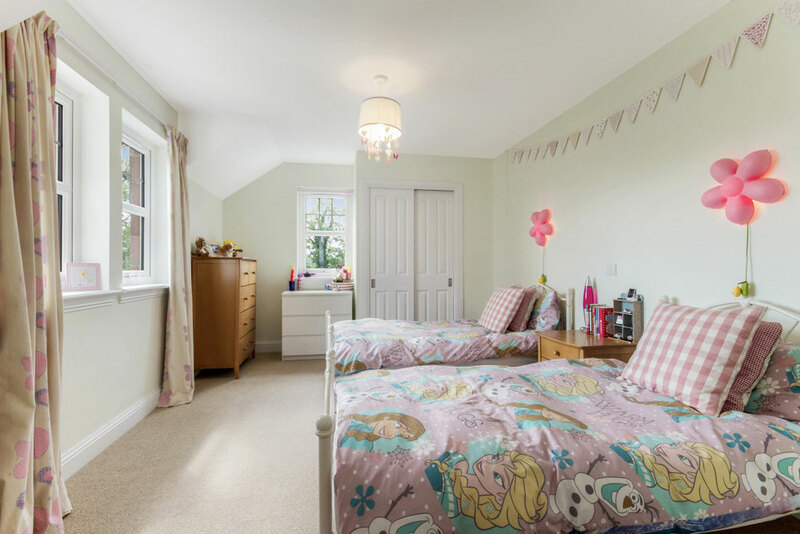 Upstairs, the property has 5 bedrooms, 2 large storage cupboards and a large family bathroom. 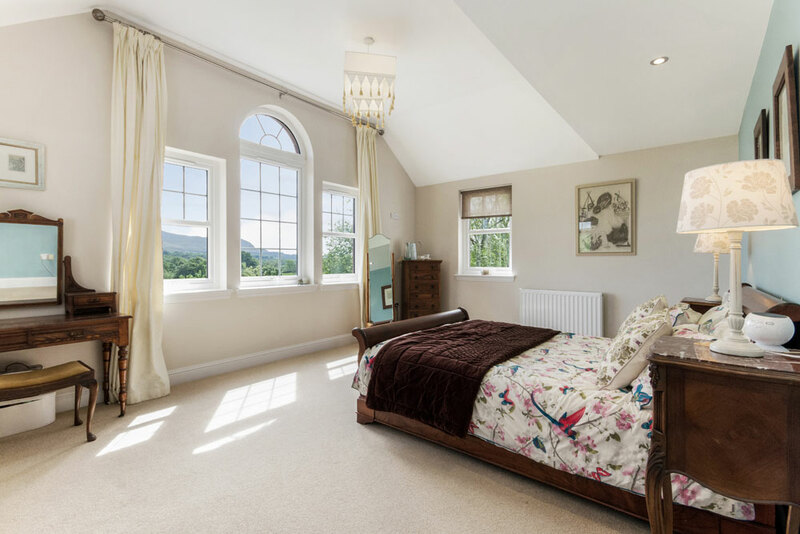 The master bedroom with its triple aspect windows benefits from a vaulted ceiling, an en suite bathroom with freestanding bath and large double walk in shower, walk in wardrobe, dressing area and magnificent views of the Campsie Fells. 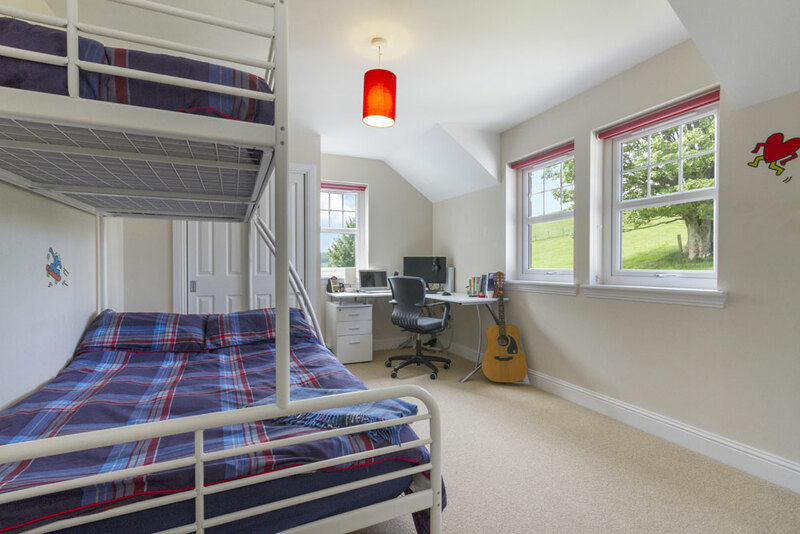 The generously proportioned guest bedroom with its triple aspect windows benefits from an en suite shower room and double built in wardrobes. 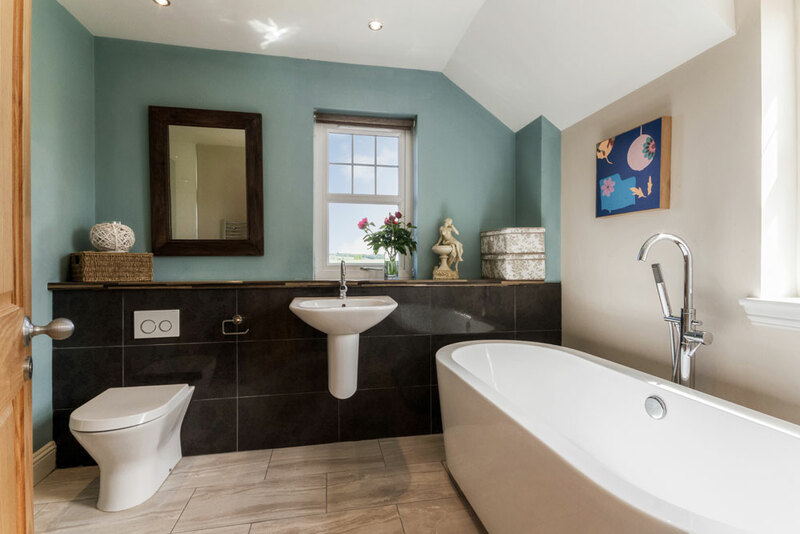 The property is heated through a modern ground source heat pump that powers underfloor heating downstairs and radiators upstairs. 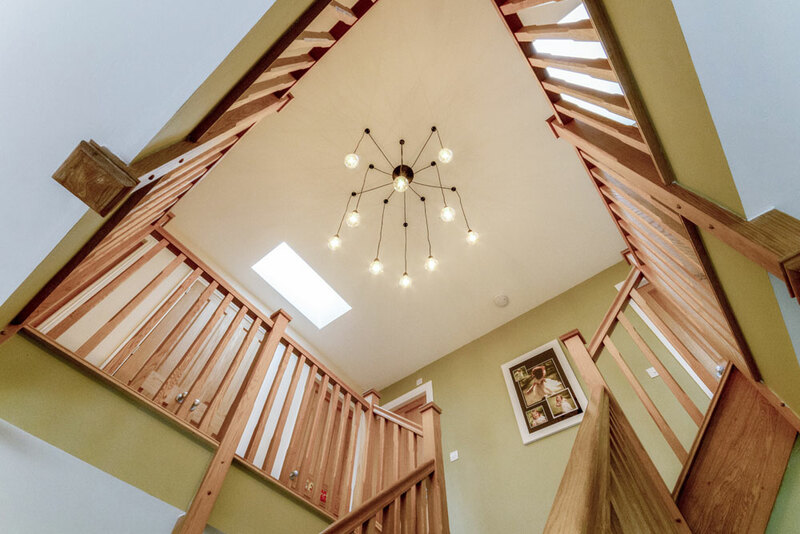 The owners benefit from a renewable heat incentive rebate of just under £1250 per quarter, with approximately £20,000 still to be paid. This will be passed on with the property. There is outline planning permission already in place for a double garage, which can be 1.5 floors giving further opportunity to build an external office/studio flat above the garage. 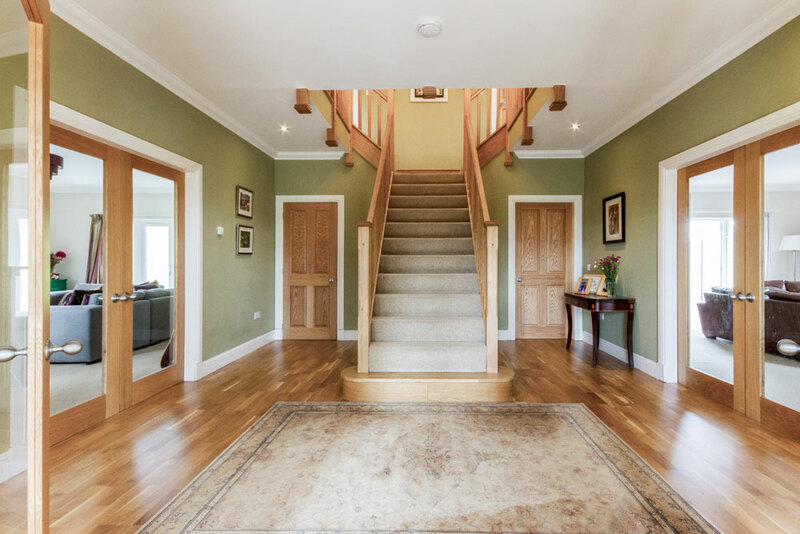 Killearn and Drymen are 2.5 miles away, both offering well regarded primary schools. 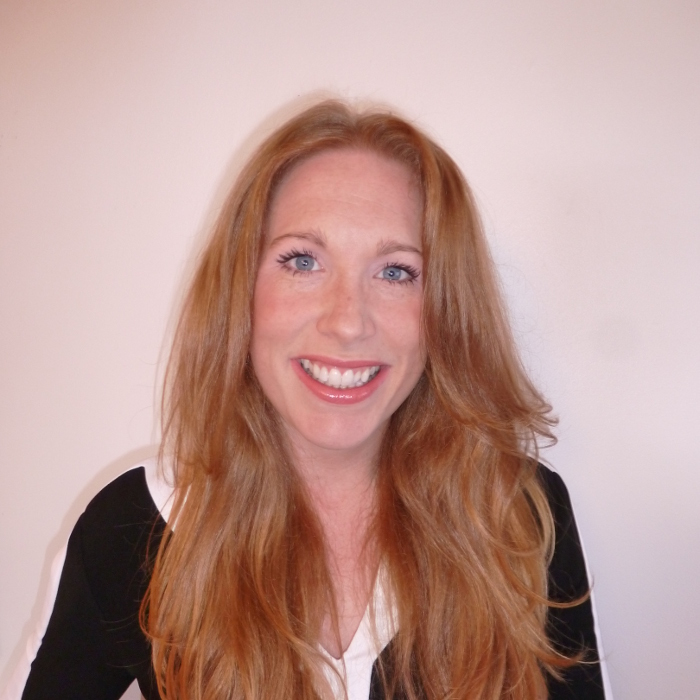 The property is in the Balfron High School – a high performing secondary school – catchment area. 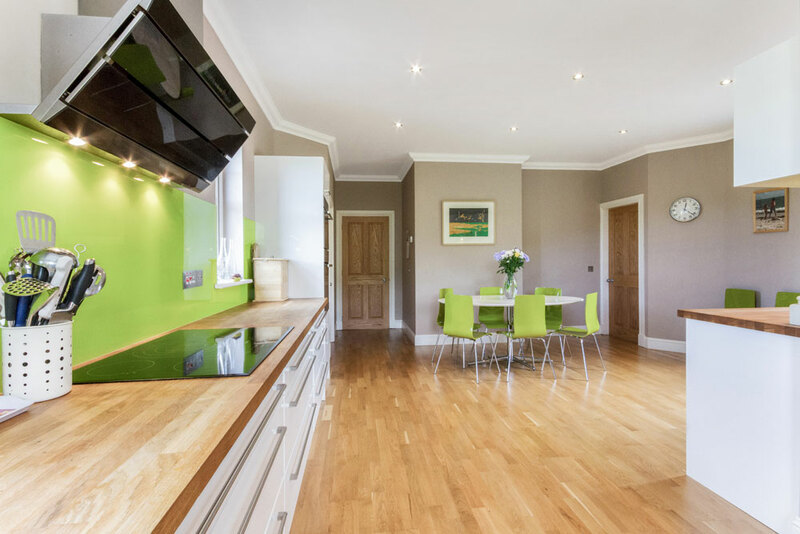 Killearn boasts a number of local amenities including the Three Sisters Bake cafe, The Old Mill pub & restaurant, Hewitt and Aker deli, chemist, health centre, Co-op store, coffee shop/interior design studio and hairdressers. 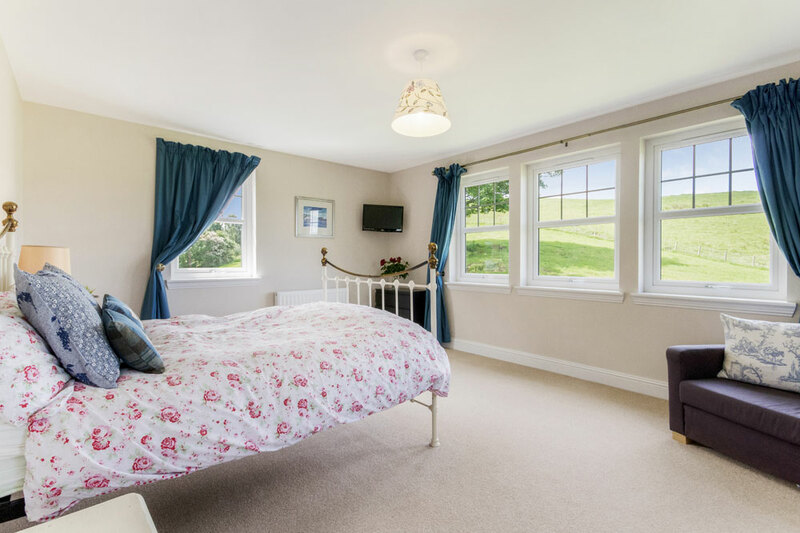 Drymen is a popular tourist location with a good selection of B&Bs, hotels, village pubs and shops. 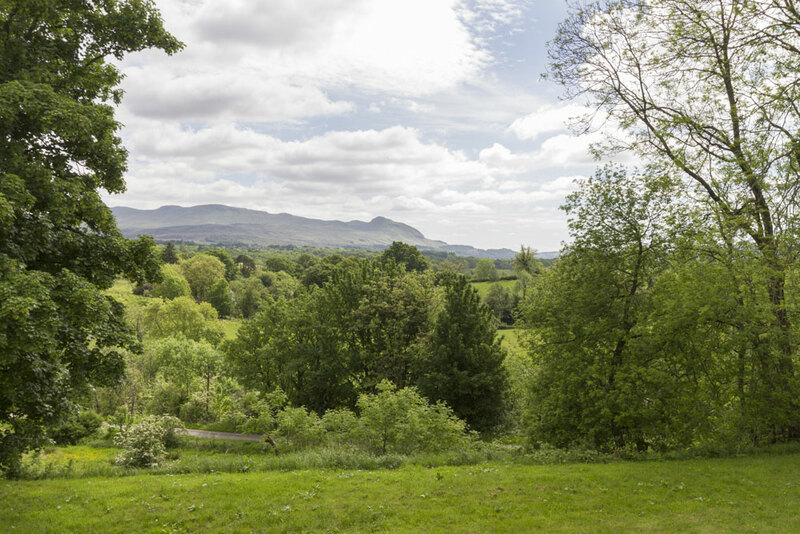 The area provides a beautiful rural location within a friendly village community, while only being 35 minutes’ drive from Glasgow City Centre and 30 minutes’ drive from Stirling. Edinburgh is 1 hour’s drive away.